Versatile artist and designer Dani Crompton describes herself as a creative who thrives on being hands-on with new and found materials. The bold ways she combines them caught my eye. Another special thing about Dani's work is its wide range. 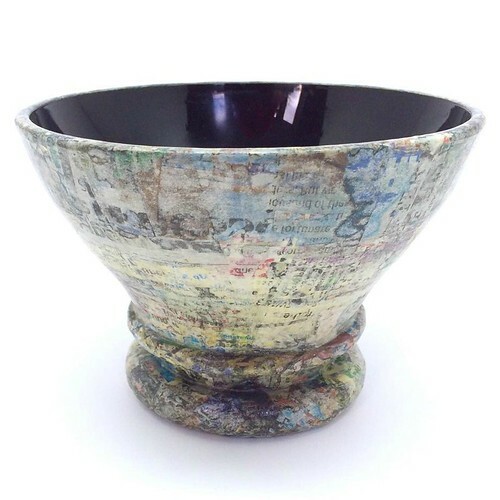 Home decor accessories - picture frames, containers and vases, to name just a few - feature a marbled appearance resulting from layers of newsprint that are compressed, shaped and sanded. 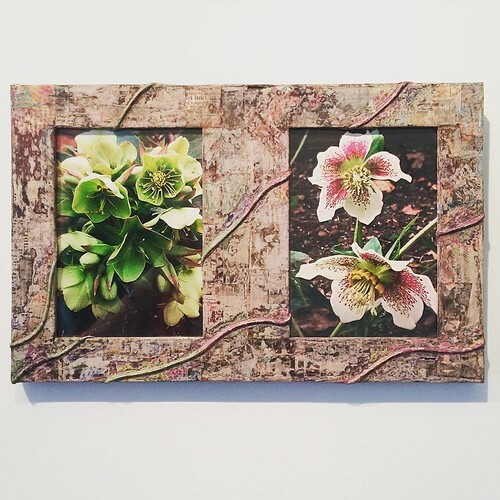 Dani strives to bring life to unused objects by transforming them into new art that is functional and appreciated. 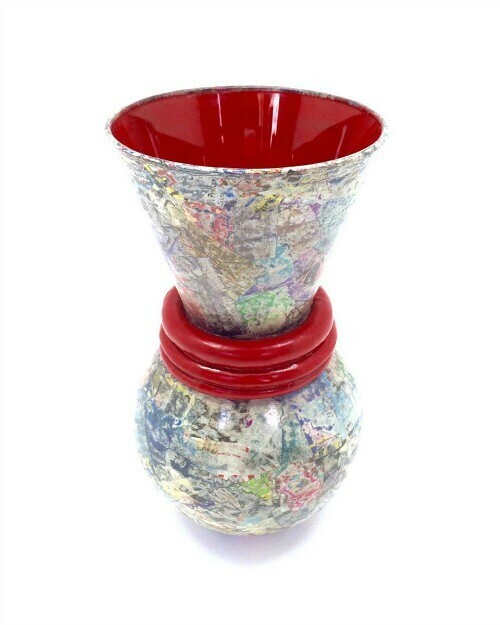 For example, a plain glass vase becomes fresh and more interesting when torn paper pieces are pressed against sleek lines and combined with brightly painted wooden rings. 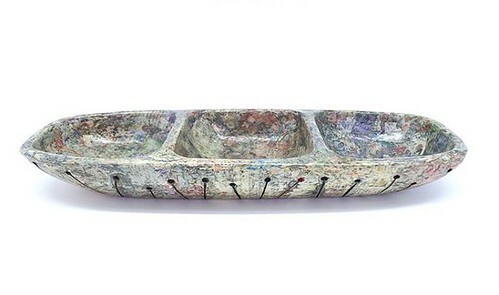 Newspaper and a stitched design give this carved wood dip dish an update while staying true to its mid-century form. 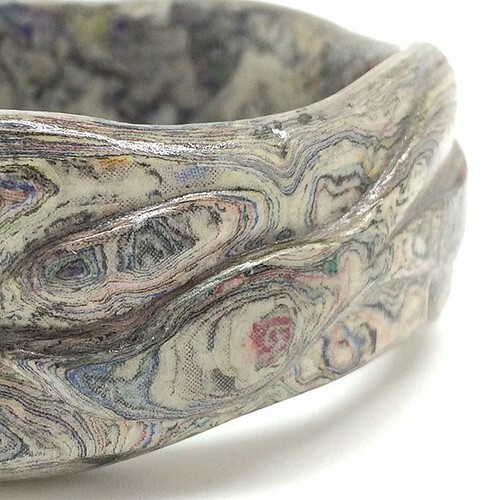 She makes paper jewelry... just look at the beautiful texture of this sculpted bangle bracelet! 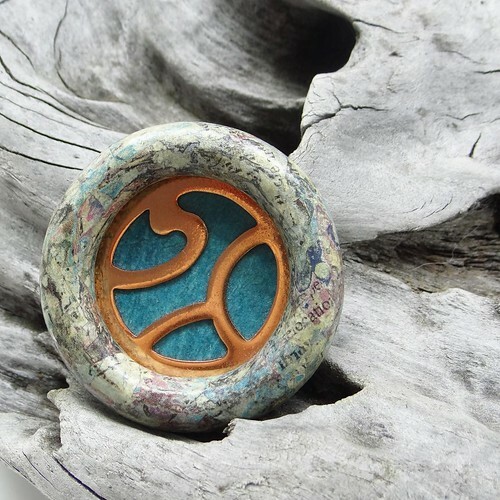 And the mixed media paper and copper brooch too. 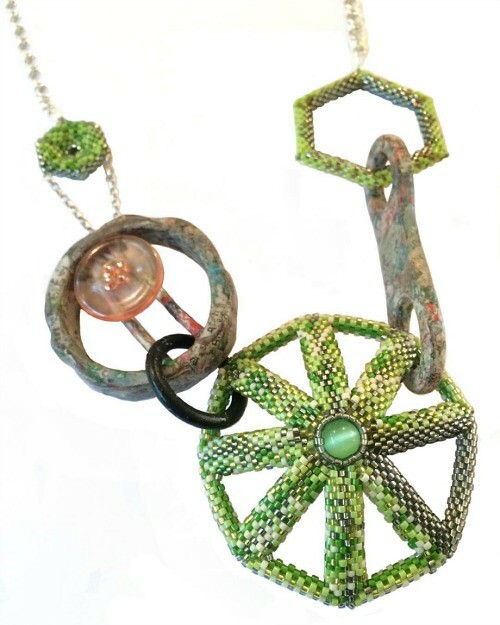 Another side of Dani's art jewelry is intricately woven pieces made with ever-so-tiny glass beads. 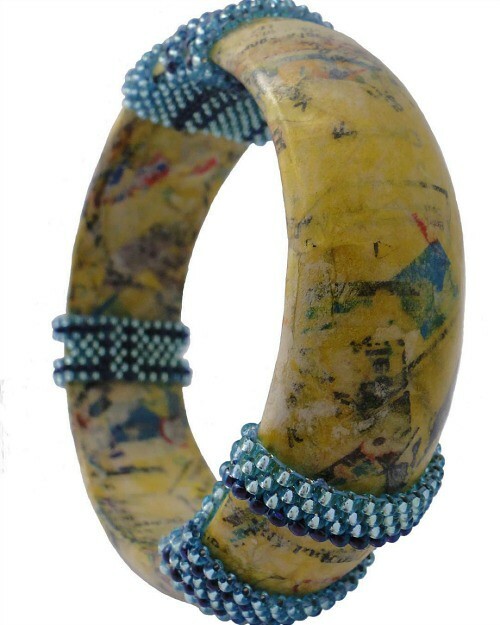 Sometimes she combines beadwork with layered newsprint to create statement bracelets and necklaces. Dani trained at London Guildhall University as a jeweler and and silversmith, and works from her home studio in South West London. She enjoys brainstorming with clients to bring their visions to life and can be contacted via her website, Dani Crompton Designs. Dani is on Instagram, Facebook, Pinterest and Twitter. These are so beautiful! Hard to believe what they are made from! I'm glad you enjoyed seeing Dani's creations, Lisa, and I agree about the materials!